If you are searching for ideas to start an online business, dropshipping must have crossed your mind. For starters, it is a great way to start a successful business without huge initial investment. In dropshipping, you don’t own any products, but collaborate with suppliers to present products to your audience. Your site users will be able to purchase the products, and the supplier will ship them to their respective addresses. You will be able to earn a margin for the sale, without really worrying about fulfillment woes. Big eCommerce companies, like AliExpress, too offer scope for dropshipping through their numerous products. You can display their products on your site, and earn a margin for successful sales. 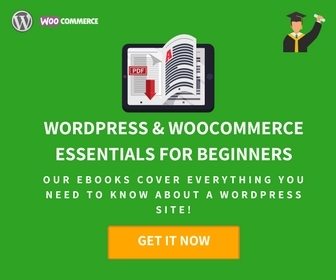 In this review, we will delve deeper into a popular WooCommerce Dropshipping Plugin – AliDropship Woo. If you need more information about the scope of dropshipping with WooCommerce, read our article on the topic. Dropshipping offers some obvious advantages if you are just getting started with your online store. It will help you expand your product catalog, without huge investments. Having more products would mean a better reach to a broader customer base, and naturally your site traffic will increase. And, when you think of achieving this without the operational hassles involved in fulfillment, it can be a tempting prospect. Overall, it will give you great scope to scale up your business efforts in a way that is less risky, and more comfortable. How AliExpress comes to the picture? AliExpress, owned by Alibaba, is a preferred choice of many businesses that try the dropshipping model. This is because they encourage this model, and have a lot of suppliers who would dropship for you at competitive prices. Basically, the process is simple. You can import product information from AliExpress to your site, and display pricing and other information suitable to you. When customers purchase from your site, you can contact the specific supplier, who will then ship the product. And you are most likely to get wholesale pricing for the product, so there will be a decent margin from each sale. 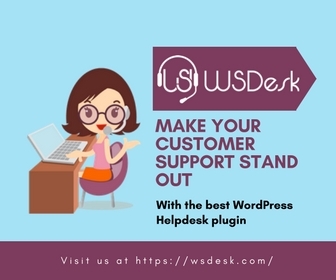 This is one of the most popular options to get help in managing your WooCommerce dropshipping business with AliExpress. When you are ready to try out AliExpress dropship on your WooCommerce store, you will see there are a few solutions. In this review, we will look deeper into a popular solution, AliDropship Woo. This plugin helps you import AliExpress products to your site in a matter of minutes. So, you can quickly start accepting orders from your customers, and start making profits. The plugin also helps with good reporting tools that will help you understand your business progress. You can add an unlimited number of products this way to your store using this plugin. And, when you get orders from customers, you can inform your suppliers about it in just a single click! The plugin can take care of all the aspects related to AliExpress Dropshipping. Overall the plugin provides a very fast and convenient way to supercharge your business. It will help both established businesses as well as newcomers with its straightforward process flow. The installation and configuration of the plugin too is really fast. You can purchase the plugin from their website at $89 for a single site license. They also provide hosting that included WordPress setup and SSL, for $48 per year. More importantly, you will get lifetime support and updates with the plugin. Get AliDropship Woo Plugin Now! Let’s take a look at some of the features of this plugin that will help you with your dropshipping business. Search filters to help you find out suitable products without much hassles. This include a filter for ePacket shipping option, which helps in faster delivery. Synchronization with AliExpress product information, so that any updates will be reflected on your site as well. Pricing tool to help you add a markup to the product pricing on AliExpress. With the single click, you can place an order with the supplier. Automated notifications to customers with shipment tracking updates. Supports all product types including variable products. Easily edit product information to include custom aspects to make it distinct. The plugin helps to edit even images that are imported from AliExpress store. Import product reviews directly from AliExpress site. Built-in themes to help you keep your site design and layout appropriate to the business model. This can be of help when your site is fully dedicated to dropshipping business. Create percentage or fixed price coupons to offer discounts to customers. This is an important aspect for affiliate businesses, as lot of store owners create bulk discounts and product bundles to attract more sales. 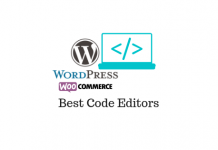 You can read more about some WooCommerce pricing plugins here. Option to send follow up mails to customers who have left products in their Cart. Helps you add meta descriptions, titles and tags to help you stay on top of SEO strategies. Read about SEO strategies for a WooCommerce store in more detail here. Integrate with Google Analytics easily to understand more about your traffic sources and user behavior. AliDropship Woo supports all major payment gateway options including PayPal and Stripe. Tracks inventory to help you stop selling products that are out of stock. Convenient dashboard to manage all aspects of your store. Additional cashback on certain products with up to 12% commission rate. You can get started with the plugin just like any other WordPress plugin. After purchasing the plugin, you can install and activate the plugin. You can go to the plugin settings to get started with your website. However, please note that you have to use Google Chrome extension. You need to install Alidropship extension for Chrome to be able to search and import products from AliExpress. ePacket is one of the cheapest and prompt delivery options offered by AliExpress. If you are choosing this option, you can assure a fast and hassle free delivery option to your customers. The Chrome extension will help you identify products with ePacket delivery options, so that you can choose to import these products. Once you have installed the Google Chrome extension, you can go to AliExpress site and find the products that you wish to import. On a specific product page, you can simply click the Import button on the top panel and the product will be on your site. Now, you can simply edit the product information including price to suit your business plans. When you import a product, you will be able to see the stock information of the product as well. You can simply click the import button when you are on the AliExpress site. The most important aspect of a dropshipping business is to add a strategic margin to the products you purchase at a lower cost from the supplier. AliDropship has a unique pricing system, which will help you apply unique formulas to add a margin suitable to your business idea. The formula will be automatically applied to all products on your store or only to products that you specify. This is the other major component of the dropshipping business model. This plugin makes it extremely easy to handle. When you receive an order from one of your customers, you can simply go to the Orders section of your store, and click the Place Order button. The customer information, including the delivery address, will be automatically updated by the plugin. The plugin also provides an option to leave a message to the supplier to let them know that you are dropshipping. This way you can avoid the seller putting any promotional material or invoices in the package. You can place an order with the supplier simply by clicking a button. In addition, you can also get tracking information for successfully placed orders. Why use this plugin for AliExpress Dropshipping? AliDropship Woo can be a complete solution for your dropshipping business through AliExpress. You can use the plugin to set up a site even if you don’t already own a site. With some additional charges, anyone who is interested can set up their own store and get all the benefits of dropshipping business model. 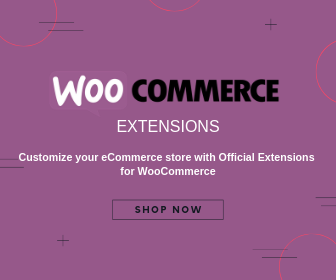 For those who already have a WooCommerce store, it will be a great way to expand their product range. Once you have it set up and configured, it is pretty easy to handle rest of the process. Moreover, you will get lifetime support and updates with the purchase.